247 - 207 BC1 Devanampiya Tissa Converted to Buddhism at Mihintale; capital at Anuradhapura. 161 - 137 BC Dutugemunu Unified Sri Lanka under Sinhalese kingship; capital at Anuradhapura. Ruwanvali Stupa. 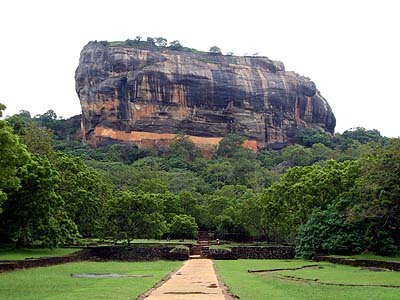 473 - 491 AD Kasyapa Palace with gardens and apsaras paintings at Sigiriya. 1Or perhaps, 307-267 BC. For consistency I use 247-207 throughout these pages, although 307-267 is also well-supported. For more information, see the Bibliography and Wikipedia.